Welcome to San Joaquin Vet Hospital, a full-service veterinary, located in the Fresno metropolitan area. 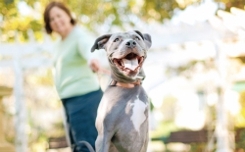 We strive to not only treat your pets, but educate you on how to improve their lifestyle. Together, we can ensure that your furry friends stay happy and healthy. Since customer satisfaction is our main priority, we are constantly looking for ways to benefit you. First, our prices are very affordable. Second, we can arrange for early drop-offs and pick-ups, to work around your schedule. Third, our staff includes some of the most experienced and trained employees. Don't let small treatments add up--call now! We'll answer any of your questions.